With its updated entertainment, safety, and efficiency, the new Nissan Rogue Sport earned its spot on the top five subcompact SUV list from U.S. News Reviews. Get a better driving experience in a Rogue Sport with the stronger build, upgraded interior technology, and advanced safety features. Make your next trip through Peekskill in style with the Rogue Sport. Magnetic Black Pearl 2019 Nissan Rogue Sport S AWD CVT with Xtronic 2.0L DOHC Nissan of Yorktown Heights serving Westchester, Mount Kisco, White Plains, Putnam Rockland and Dutchess Counties is number one Nissan Dealer in the area for customer satisfaction, call or click today to schedule a test drive or reserve a vehicle. Recent Arrival! 24/30 City/Highway MPG We have access to hundreds more used cars, so if you're not sure this is what you're looking for, give us a call today (914-737-3500) and we will work to make your vehicle research process as easy as possible. Glacier White 2019 Nissan Rogue Sport S AWD CVT with Xtronic 2.0L DOHC Nissan of Yorktown Heights serving Westchester, Mount Kisco, White Plains, Putnam Rockland and Dutchess Counties is number one Nissan Dealer in the area for customer satisfaction, call or click today to schedule a test drive or reserve a vehicle. Recent Arrival! 24/30 City/Highway MPG We have access to hundreds more used cars, so if you're not sure this is what you're looking for, give us a call today (914-737-3500) and we will work to make your vehicle research process as easy as possible. Gun Metallic 2019 Nissan Rogue Sport S AWD CVT with Xtronic 2.0L DOHC Nissan of Yorktown Heights serving Westchester, Mount Kisco, White Plains, Putnam Rockland and Dutchess Counties is number one Nissan Dealer in the area for customer satisfaction, call or click today to schedule a test drive or reserve a vehicle. Recent Arrival! 24/30 City/Highway MPG We have access to hundreds more used cars, so if you're not sure this is what you're looking for, give us a call today (914-737-3500) and we will work to make your vehicle research process as easy as possible. Glacier White 2019 Nissan Rogue Sport S AWD CVT with Xtronic 2.0L 4-Cylinder Nissan of Yorktown Heights serving Westchester, Mount Kisco, White Plains, Putnam Rockland and Dutchess Counties is number one Nissan Dealer in the area for customer satisfaction, call or click today to schedule a test drive or reserve a vehicle. 24/30 City/Highway MPG We have access to hundreds more used cars, so if you're not sure this is what you're looking for, give us a call today (914-737-3500) and we will work to make your vehicle research process as easy as possible. Brilliant Silver Metallic 2019 Nissan Rogue Sport SV AWD CVT with Xtronic 2.0L 4-Cylinder Nissan of Yorktown Heights serving Westchester, Mount Kisco, White Plains, Putnam Rockland and Dutchess Counties is number one Nissan Dealer in the area for customer satisfaction, call or click today to schedule a test drive or reserve a vehicle. 24/30 City/Highway MPG We have access to hundreds more used cars, so if you're not sure this is what you're looking for, give us a call today (914-737-3500) and we will work to make your vehicle research process as easy as possible. Magnetic Black Pearl 2019 Nissan Rogue Sport SV AWD CVT with Xtronic 2.0L 4-Cylinder Nissan of Yorktown Heights serving Westchester, Mount Kisco, White Plains, Putnam Rockland and Dutchess Counties is number one Nissan Dealer in the area for customer satisfaction, call or click today to schedule a test drive or reserve a vehicle. 24/30 City/Highway MPG We have access to hundreds more used cars, so if you're not sure this is what you're looking for, give us a call today (914-737-3500) and we will work to make your vehicle research process as easy as possible. Pearl White 2019 Nissan Rogue Sport SV AWD CVT with Xtronic 2.0L 4-Cylinder Nissan of Yorktown Heights serving Westchester, Mount Kisco, White Plains, Putnam Rockland and Dutchess Counties is number one Nissan Dealer in the area for customer satisfaction, call or click today to schedule a test drive or reserve a vehicle. 24/30 City/Highway MPG We have access to hundreds more used cars, so if you're not sure this is what you're looking for, give us a call today (914-737-3500) and we will work to make your vehicle research process as easy as possible. Gun Metallic 2019 Nissan Rogue Sport SV AWD CVT with Xtronic 2.0L 4-Cylinder Nissan of Yorktown Heights serving Westchester, Mount Kisco, White Plains, Putnam Rockland and Dutchess Counties is number one Nissan Dealer in the area for customer satisfaction, call or click today to schedule a test drive or reserve a vehicle. Recent Arrival! 24/30 City/Highway MPG We have access to hundreds more used cars, so if you're not sure this is what you're looking for, give us a call today (914-737-3500) and we will work to make your vehicle research process as easy as possible. Magnetic Black Pearl 2019 Nissan Rogue Sport SV AWD CVT with Xtronic 2.0L DOHC Nissan of Yorktown Heights serving Westchester, Mount Kisco, White Plains, Putnam Rockland and Dutchess Counties is number one Nissan Dealer in the area for customer satisfaction, call or click today to schedule a test drive or reserve a vehicle. Recent Arrival! 24/30 City/Highway MPG We have access to hundreds more used cars, so if you're not sure this is what you're looking for, give us a call today (914-737-3500) and we will work to make your vehicle research process as easy as possible. Magnetic Black Pearl 2019 Nissan Rogue Sport SV AWD CVT with Xtronic 2.0L 4-Cylinder Nissan of Yorktown Heights serving Westchester, Mount Kisco, White Plains, Putnam Rockland and Dutchess Counties is number one Nissan Dealer in the area for customer satisfaction, call or click today to schedule a test drive or reserve a vehicle. Recent Arrival! 24/30 City/Highway MPG We have access to hundreds more used cars, so if you're not sure this is what you're looking for, give us a call today (914-737-3500) and we will work to make your vehicle research process as easy as possible. Scarlet 2019 Nissan Rogue Sport SV AWD CVT with Xtronic 2.0L DOHC Nissan of Yorktown Heights serving Westchester, Mount Kisco, White Plains, Putnam Rockland and Dutchess Counties is number one Nissan Dealer in the area for customer satisfaction, call or click today to schedule a test drive or reserve a vehicle. Recent Arrival! 24/30 City/Highway MPG We have access to hundreds more used cars, so if you're not sure this is what you're looking for, give us a call today (914-737-3500) and we will work to make your vehicle research process as easy as possible. Experience the New Nissan Rogue Sport! 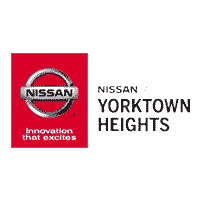 At Nissan of Yorktown Heights, we want to get you the vehicle that works best for you and your driving needs. Getting a new SUV doesn’t have to mean breaking the bank. Compare our models like the Rogue and the Rogue Sport to find the model you need. Contact us today to learn about our new vehicle specials and current lease offers to find the right vehicle within your budget.